This is a round Pacific Power & Light porcelain sign. This particular Pacific Power & Light sign is predominantly red with a black border and white text. 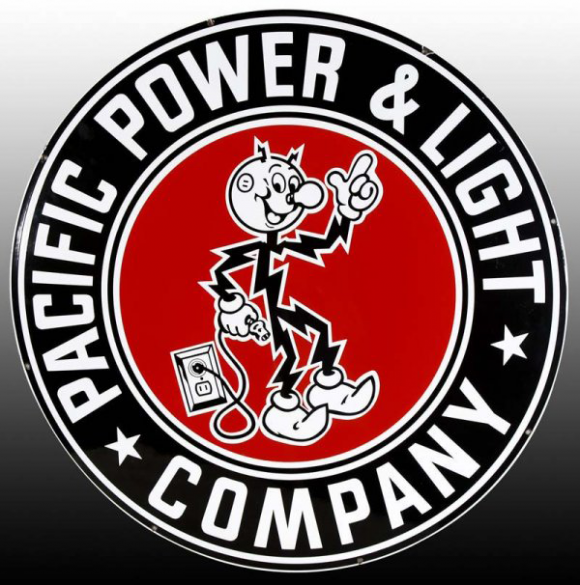 It reads, “Pacific Power Light & Light Company” and features a black cartoon lightning bolt man holding an electrical cord in the center.